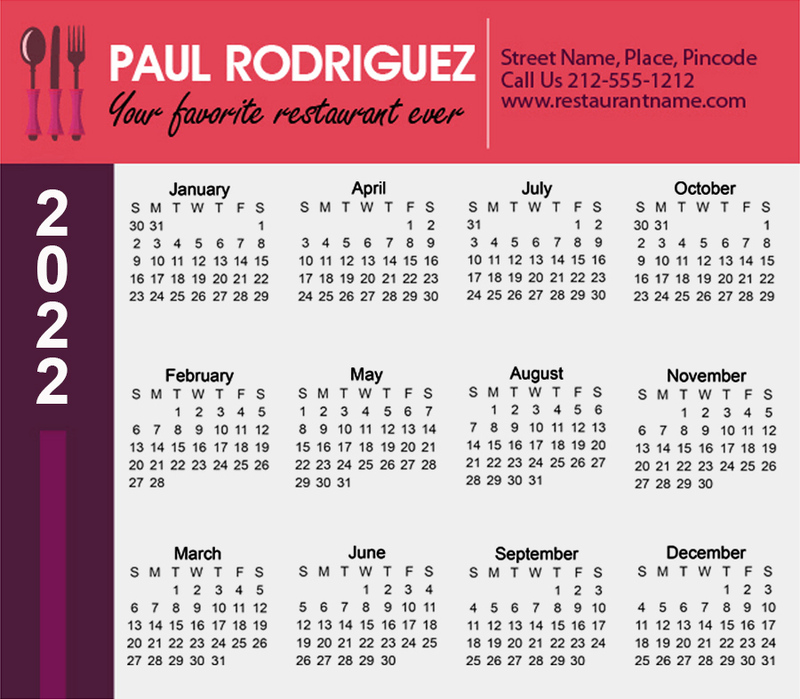 You can attract diners to your restaurant by handing these promotional 3.5 x 4 inches restaurant calendar square corner magnets – 20 MIL. 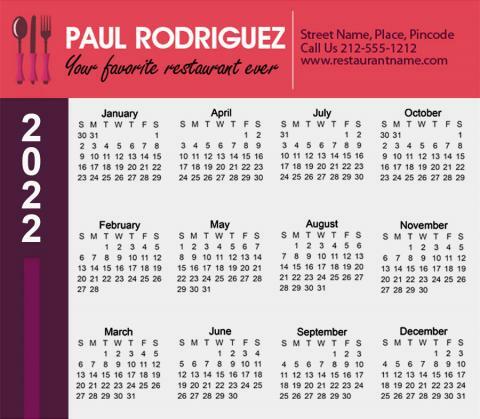 This calendar magnet offers you large imprint space and assurance that people are going to take you seriously. It is well-suited for marketing any type of big, medium and small eatery. Full color printing, stellar imprint area, glossy finish and admirable production – are some of the benefits of these magnets. Shipping, artwork and art setup are offered absolutely FREE. Request a quote to know price savings on bulk orders of these custom 3.5 x 4 inch restaurant square corner magnets – 20 MIL.